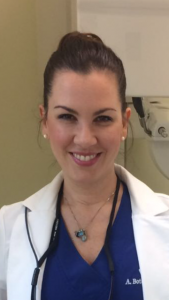 Dr. Botero first received her dental degree from University CES in Medellin, Colombia in 2001. She was a registered dental hygienist in 2002 in Miami, Florida. She speaks Spanish and English. She furthered her education by partaking in the University of Florida's AEGD program. At the University of Florida, she was a resident in the AEGD program for 2 years. Her residency program covered subjects in Implant Dentistry, Endodontics, Prosthodontics, Periodontics, Cosmetics and Practice Management. She has built a well-rounded career to best serve the interests of our patients. She has experience in practice management. Dr. Botero has attended multiple Dental XP symposiums and dental implant courses. She has taken courses in the topics of Multiple Implants and Restoration, 3D Surgical guide, Invisalign, and assisted at the 14th Annual Comprehensive Surgery Training Program for the Novice and the Experienced Implant Surgeons in 2013. Dr. Botero attended the Implant Dentistry, Surgical Placement and Restoration of Implants at the University of Florida in 2012 and 2013. Dr. Botero is passionate about implant and cosmetic dentistry. She wants to provide the best dental care for her patients. We encourage you to set up an appointment with one of our doctors.